VGA to TV Converter. With Composite and S-Video Output. Now includes a LASER POINTER in the remote control ! VGA to Video and S-Video and Scart Converter. Allows you to connect your computer to a VCR, TV or other devices that require a composite video, s-video or Scart connection. Group presentations, gaming and any other application requiring large screen TV or Projector display. 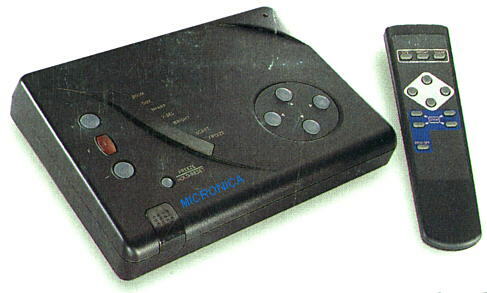 Also allows recording computer tutorial sessions directly to an ordinary VCR. The best tool for presentation, education, gaming, DVD and Internet Viewing. And now even includes a Laser Pinter built into the Remote Control! Very handy for Group Presentations. Allows you to connect your computer to a TV. Includes all cables to get up and running FAST. Remote Infra Red Control Included. Stand alone box. Can be connected to desktop or laptop PC. Plug and Play pure hardware design. Needs no software. Totally driverless installation. No special VGA driver required. Australia suitable PAL. NTSC and SECAM models also available. Settings controllable from main unit or by remote control. Supports VGA up to 1280x1024 True Colour. SECAM support through RGB to Scart output on PAL system. IBM, Mac and NEC PC compatible with Refresh Rate up to 150Hz. Simultaneous display on TV and PC Monitor. 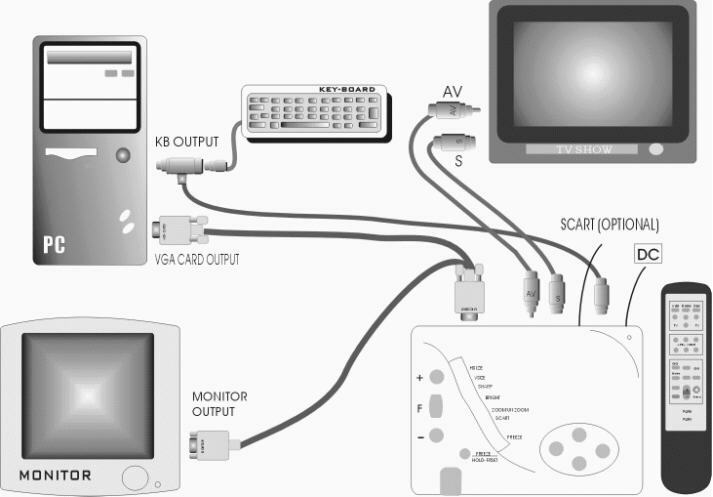 Outputs: Composite Video, S-VHS, RGB Scart (for PAL and SECAM only). Auto save TV display position and size into EE flash ROM. Four direction free moving (up, down, left, right). Laser Beam on Remote Control ! Very handy for group presentations. Works with IBM PC AND Mac PC ! !